2 014 Chevrolet Corvette 6.2L. Part Number: 24255981. Founded by Racers and for Racers. We are here to provide you with help for all your performance needs! As racers ourselves we know the struggles of searching for a place you can trust and depend on. "AC Delco Synchronizer --. Condition : New. Therefore all implied warranties that may apply to your part are limited to the duration of this written warranty. Each warranty gives you specific rights, and you may have other rights which vary from state to state. Chevy/Pontiac/Ford T56 6 Speed Transmission Rebuild Kit. This transmission has an aluminum case and has a cast # "1386" "13-86". 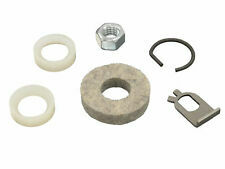 This kit has all of your main roller bearing, seals, and fork inserts. GM 4L60E Transmission Less Steel Rebuild Kit 1997-03 Level 2. Don't get caught with a kit of lesser Quality! Chevy Corvette T56 6 Speed Transmission Rebuild Kit. This transmission has an aluminum case and has a cast # "1386" "13-86". This kit has all of you main roller bearing, seals, and fork inserts. 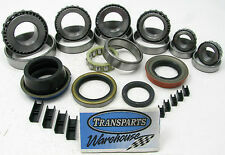 We have hundreds of bearing kits and all kinds of hard parts available. GM 4L60E Raybestos Transmission Master Rebuild Kit 1997-2003. We have hundreds of bearing kits and all kinds of hard parts available. Information : TR6070 Manual Transmission ; w/out Z06, w/out first to fourth gear. This is a New OEM GM Manual 7 Speed Transmission Assembly for the 2015 Chevrolet Corvette. 2015 Chevrolet Corvette 7 Speed Transmission. GM 4L60E Raybestos Transmission Master Level 2 Rebuild Kit 1997-2003 Shallow Pan Filter. Shallow Pan Filter, Band, Pump Bushing, and Extension Housing Bushing. Information : TR6070 Manual Transmission. This is a New OEM GM Manual 7 Speed Transmission Assembly for the 2015 Chevrolet Corvette. 2015 Chevrolet Corvette 7 Speed Transmission. Contents : 1- Manual Transmission. Muncie made part. Note color inspection paint codes. Other pt # 3831746. 1986-1988 (C4) Corvette. 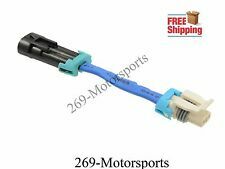 -Fits 1986 - 1988 (C4 Class) Corvettes. Your one stop for all your C1-C7 Corvette needs. transmission fluid or add transmission fluid. 4 3 Manual Transmission. TRANSMISSION FLUID HAS BEEN DRAINED! Powerglide Aluminum Case Master Overhaul Transmission Rebuild Kit for 1962-73 Chevrolet, 1970-73 Pontiac and the 1964 Tempest T6. This Super High Quality Kit is made by. We have hundreds of bearing kits and all kinds of hard parts available. THIS KIT ALLOWS YOU TO UPDATE YOUR VETTE WITH THE 1990-1993 SPEED SENSOR. 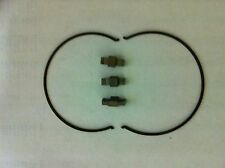 IT INCLUDES THE SENSOR ITSELF ALONG WITH A HARNESS/ADAPTER (SEE PHOTO #2) REQUIRED AS GM CHANGED CONNECTOR PLUG DESIGN. THIS KIT IS PLUG AND PLAY! GMC or Chevy with the 3 Speed Muncie 318 Light Duty Manual Transmission for years 1954-69. You can identify this transmission by its 4 bolt side cover. This is a rear wheel drive 3 speed manual transmission without overdrive. Hi-Performance GM Aluminum Powerglide Chevrolet 1965-1973 Rebuild Kit with ALTO Red Eagle Friction Clutches and Kolene Steels. These plates are Red Eagle high performance clutch plates. The silicate imparts high heat resistance. GM 4L60E Raybestos Transmission Rebuild Raybestos Performance Less Steel Kit 1997-2003. All these Kits have Clutches Manufactured by Raybestos (Red) and Gasket Sets made by the Co. Don't get caught with a kit of lesser Quality! GM 4L60E Raybestos Transmission Less Steel Level 2 Rebuild Kit 1997-2003 Shallow Pan Filter. Shallow Pan Filter, Band, Pump Bushing, and Extension Housing Bushing. GM 4L60E Raybestos Transmission Less Steel Rebuild Kit 1997-2003. We have hundreds of bearing kits and all kinds of hard parts available. GM 4L60E Raybestos Transmission Master Level 2 Rebuild Kit 1997-2003 Corvette Filter. Corvette Filter, Band, Pump Bushing, and Extension Housing Bushing. GM 4L60E Transmission Master Rebuild Kit 1997-03 Level 2. All these Kits have High Energy Clutches Manufactured by Alto and Gasket Sets made by the. GM 4L60E Raybestos Transmission Deluxe Rebuild Kit 1997-2003 Deep Pan Filter. 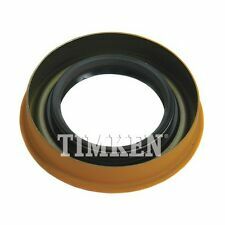 Pan Filter, Band, Bushing Kit. This is a New OEM GM Manual 7 Speed Transmission Assembly for the 2014 Chevrolet Corvette. w /skip shift, w/differential & transmission coolers. 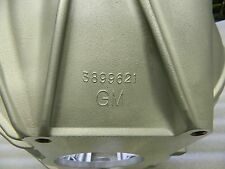 Axle ratio 3.42 opt GU6. Electronic limited slip differential opt G96. GM 4L60E Raybestos ZPAK Transmission Rebuild Level 2 Master Kit 1997-2003 Shallow Pan. Shallow Pan Filter, Band, Pump Bushing, Ext Hsg Bushing! 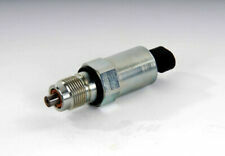 This allows for an increased torque load with reduced heat generated. Raybestos RedChevy Pontiac 6L80 Transmission Less Steel Rebuild Kit 2006-On. All these Kits have Clutches Manufactured by Raybestos (Red) and Gasket Sets made by the Co. Don't get caught with a kit of lesser Quality! GM 4L60E Raybestos ZPAK Transmission Rebuild Deluxe Level 2 Kit 1997-2003 Corvette. This allows for an increased torque load with reduced heat generated. All these Kits have Clutches Manufactured by Raybestos (Red) and Gasket Sets made by the Co. Don't get caught with a kit of lesser Quality! · Optimum performance. This is an actual picture of the item for sale. GM 4L60E Raybestos Transmission Deluxe Level 2 Rebuild Kit 1997-2003 Deep Pan Filter. Description This is a Genuine GM manual shifter close out boot for your 2005-2013 Chevrolet C6 Corvette. Application 2005 2006 2007 2008 2009 2010 2011 2012 2013 Chevrolet C6 Corvette Manual Transmission. GM 4L60E Alto Transmission Master Level 2 Rebuild Kit 1997-2003 Shallow Pan Filter. Shallow Pan Filter, Band, Pump Bushing, and Extension Housing Bushing. Shifter Linkage. Manual 6 Speed. Rear Transmission. Good USED GM. This is professionally rebuilt T-10 for a late '58 or very early '59 Corvette. The side cover is correct featuring and no ribs, it is an original that cracked and was repaired. All other threads are in great shape and there are no other repairs. 1st design with 9/16 wide teeth. "AC Delco Mainshaft --. Condition : New. Therefore all implied warranties that may apply to your part are limited to the duration of this written warranty. Each warranty gives you specific rights, and you may have other rights which vary from state to state. This is a very nice 3840383 bell housing. It is used in Chevrolet vehicles that have a 10 1/2 inch clutch. It is the original, as cast finish. It has NOT been bead blasted or sand blasted. Instead it was lightly cleaned with non harmful walnut shells. There are no cracks (you can tell from crisp ring it makes when you tap on it), repairs, or bad threads. This is a rather early, hard to find housing (1964 through 1967) as it does not have the GM logo cast above the transmission mounting face. This fits A LOT of applications so do you're homework. All these Kits have Clutches Manufactured by Raybestos (Red) and Gasket Sets made by the Co. Don't get caught with a kit of lesser Quality! This is an actual picture of the item for sale. This is NOT a generic picture. 10PCS RAM Automotive BA381 Pilot Bearing Steel Roller Type Each.